NoVCIAA membership dues are $45.00 per year and include an IACA membership. To become a Member, you must be a current employee of a public criminal justice agency and been vetted through a criminal background check with said agency. 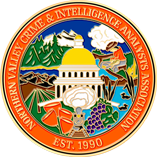 Contractors, interns, volunteers and retirees who have a current affiliation with and who have been vetted through a criminal background check with a public criminal justice agency may become Associate Members upon a two-thirds vote of the current membership. You must provide an agency email address. Personal and contract company email addresses will not be accepted.